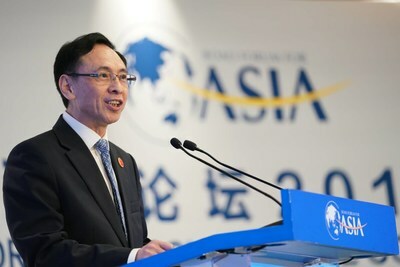 BOAO, China, March 29, 2019 /PRNewswire/ — Media representatives from 20 Asian countries shared their perspectives on the media’s role in global governance and Asian media’s cooperation in the “omnimedia” era during one of the roundtable discussions at the Boao Forum for Asia Annual Conference 2019, which was initiated by the China Media Group and is now underway in Boao, south China’s Hainan Province. 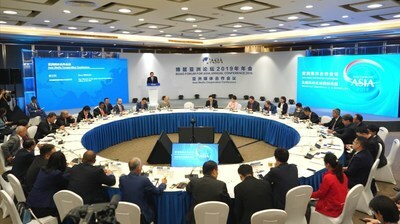 The Asia Media Cooperation Conference, which has been held annually over the past six year, shares the belief that in the omnimedia era, new technology promotes the transformation of the media industry, changes the traditional media ecology and influences the pattern of international communication. 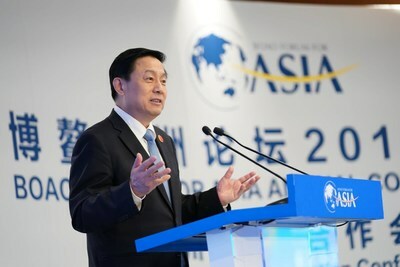 Guo Weimin, vice minister of China’s State Council Information Office, made a keynote speech at the conference on Friday. Guo said the emergence of new technologies such as AI and 5G has brought revolutionary changes to the media landscape. He emphasized that the rise of digital media should not be seen as a threat to traditional media, but rather a boost for common prosperity. Yan Xiaoming, vice president of China Media Group, said that in just one year’s time, cutting-edge technologies like AI and 5G have turned from tools that that media reports about into tools that media use. In this new era, there’s an urgent need for Asian countries to improve their say on the world stage, to match their economic competence. Other representatives echoed that Asian media should seize opportunities and work together to decide Asian media’s say and development in the international community.